The Industrial Railing system is manufactured in zinc chrome primer, galvanised or non-ferrous finishes. All bends have swaged slipjoints on both ends. 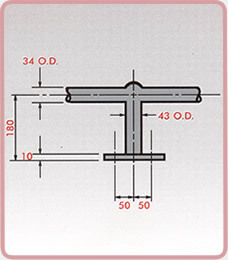 Stanchions and handrails are supplied standard 2.5mm consistent wall thickness. 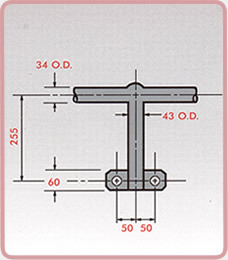 All stanchions are manufactured to accommodate 34. 13 O.D. hand and knee railings.